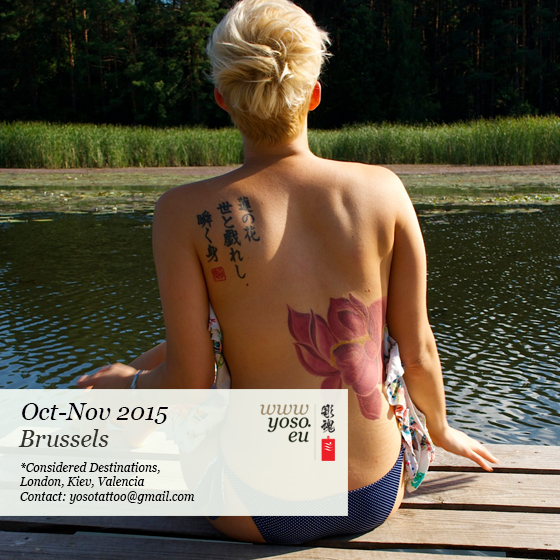 Small European Tattoo tour! Oct-Nov 2015. It's the end of the summer and time for some more travel .Welcome to get in touch even if your destination is not on the list as I am still planning! Contact by email yosotattoo@gmail.com Enjoy! Y.